Le CMCA is the principal oraganizer of PriMed. Created in 1995, the CMCA, a non-governmental organization based in Marseilles, is a Mediterranean network of audiovisual cooperation. It brings together broadcasting groups but also audiovisual producers and actors of the Mediterranean basin. The CMCA strove to establish the tools and structures essential to develop a space of exchange, open to all public or private audiovisual operators interested in the promotion of Mediterranean cultures. PRODUCE : it encourages more particularly the production of documentary series. Thus, since 1991, several series have been created : Les Fantômes du monde sous-marin (Wrecks in the Mediterranean waters) ; Mémoires de l’eau (Problems and conflict concerning water management) ; Chroniques Méditerranéennes (Thematic series). 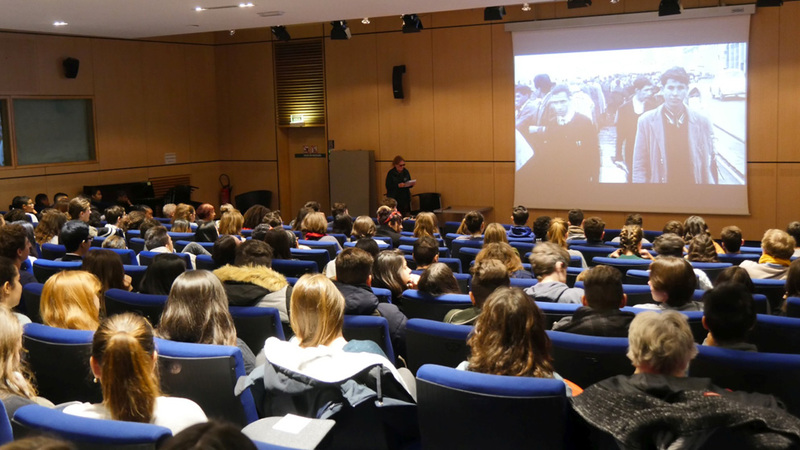 INSTRUCT : the CMCA proposes to its members documentary making workshops : a coordination and writing workshop for Chroniques Méditerranéennes participants, and a training workshop focusing on the making of archive-based documentary. INFORM : from the beginning, the CMCA has overcome the necessity to circulate professional information matching its members and partners’ interests. Firstly, through l’Agenda de l’Audiovisuel en Méditerranée, directed and broadcast on a quarterly basis by the CMCA ; then, with Méditerranée Audiovisuelle – La Lettre, monthly newsletter released through e-mail to almost 5.000 subscribers, in 25 countries of the Mediterranean basin. SEE AND SHOW : the CMCA initiated the International Festival of Mediterranean Documentary and News films, an event allowing the promotion and confrontation of the documentaries, reportages et magazines about the Mediterranean basin, not only within the circle of its members and partners but also for the various audiovisual professionals. EXCHANGE : “If after the workshops, the film directors create works of art, if those works are rewarded or “awarded” , they should have the opportunity to be diffused by the broadcasting groups of the Mediterranean basin. Yet, a major barrier prevents this diffusion : the linguistic barrier”. To face this problem, the CMCA proposes the creation of a Fonds d’Aide à la Circulation d’ Œuvres d’art en Méditerranée or FACOM (Funds for the Circulation of Works of Art in the Mediterranean basin). These funds would allow to cover the costs of translation / adaptation and dubbing / subtitling, more than necessary when it comes to documentaries and reportages. The CMCA partner of the Centre Régional de la Méditerranée.